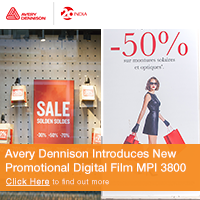 3M and Durst have announced a new and premium, co-branded inks – Durst Rho Roll 3M Premium UV Ink Series – for the award-winning Durst Rho 512R and Rho 312R large-format UV inkjet digital roll printers. 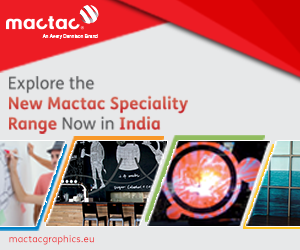 By employing these premium UV inks, Durst users will be able to offer 3M MCS Warranty Certified graphics upon completion of the certification process. 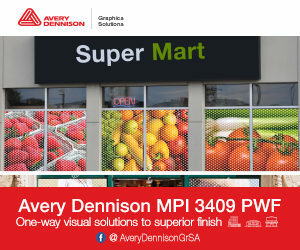 The 3M MCS Warranty is one of the highly regarded finished graphic warranties in the industry. The new Durst Rho Roll 3M Premium UV Ink Series (inks available in C,M,Y,K,Lc,Lm) is formulated specifically for use on the Rho 512R and 312R UV roll-to-roll platforms. Durst Rho 512R and 312R achieve print speeds in excess of 3,000 s.f./hr., while delivering exceptional print quality due to their proprietary 12-picoliter Quadro Array print-head technology. Versatile and reliable, they are the most productive roll-to-roll printers on the market. The combination of Durst’s world-renowned innovation and durability with the added backing of a 3M MCS warranty will elevate roll-to-roll productivity and reliability to a new level.